NoSQL databases are growing with very rapid speed because of their exciting features like more flexibility and scalability, schema-free architecture, easy replication support, simple API, consistent / BASE (not ACID), support for big data and more. Key-Values Stores, Column Family Stores, Document Databases, Graph Databases are the types of NoSQL Databases. 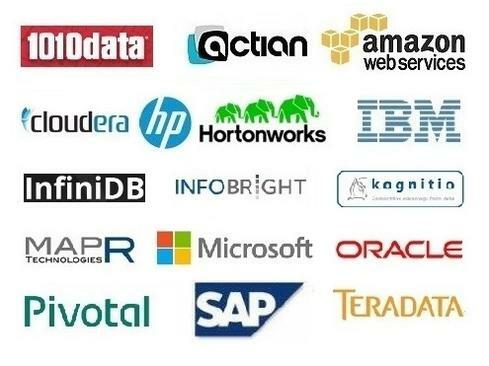 MongoDB, CouchDB, CouchBase, Cassandra, HBase, Redis, Riak, Neo4J are the popular NoSQL databases. MongoDB, CouchDB, CouchBase are document-oriented NoSQL databases, Redis and Riak are key-value stores, Cassandra and HBase are column family stores and Neo4J is a graph database. Lets discuss these types of databases in detail. The main idea here is using a hash table where there is a unique key and a pointer to a particular item of data. The Key/Value model is the simplest and easiest to implement. But it is inefficient when you are only interested in querying or updating part of a value, among other disadvantages. These were created to store and process very large amounts of data distributed over many machines. There are still keys but they point to multiple columns. The columns are arranged by column family. These were inspired by Lotus Notes and are similar to key-value stores. The model is basically versioned documents that are collections of other key-value collections. The semi-structured documents are stored in formats like JSON. Document databases are essentially the next level of Key/value, allowing nested values associated with each key. Document databases support querying more efficiently. Instead of tables of rows and columns and the rigid structure of SQL, a flexible graph model is used which, again, can scale across multiple machines. NoSQL databases do not provide a high-level declarative query language like SQL to avoid overtime in processing. Rather, querying these databases is data-model specific. Many of the NoSQL platforms allow for RESTful interfaces to the data, while other offer query APIs.